This statistic ranks the teams of the National Basketball Association, by the number of followers on Twitter as of March 23, 2018. With over 7.39 million fans, the Los Angeles Lakers have the most followed NBA team account on Twitter. 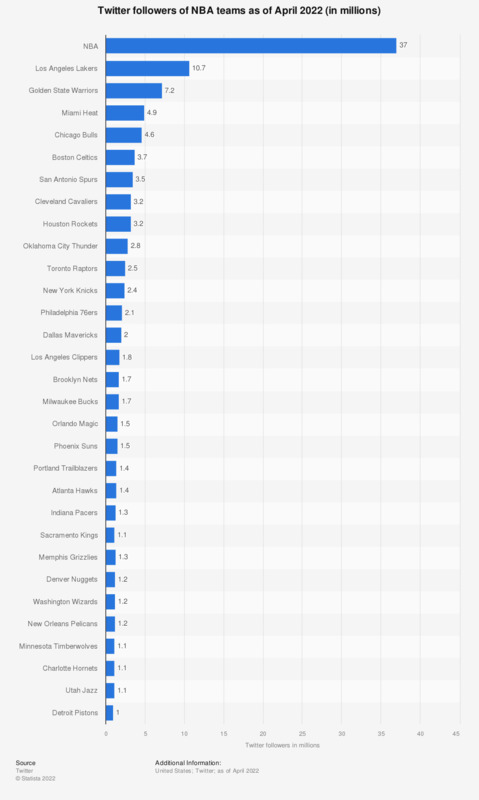 The Twitter presence of the NBA itself has over 26.49 million followers. * Figures are as of September 26, 2017.